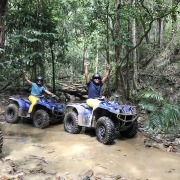 Cairns Quads & Adventures take you on the memorable journey. 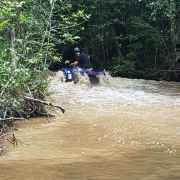 Enjoy beautiful nature and experience an off-road ATV riding experience. 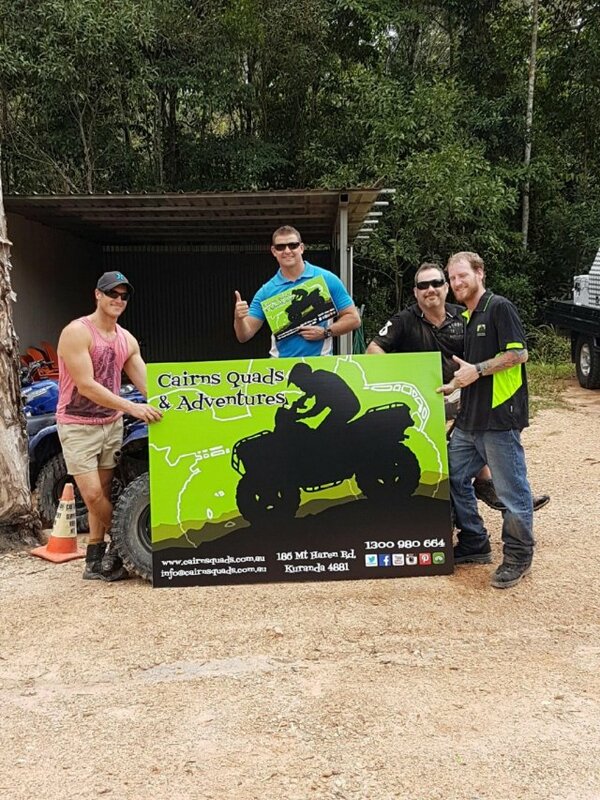 Cairns Quads & Adventures offers an adventurous and exciting ½ Day ATV quad bike tour where you get to travel through the Rainforest on dirt tracks and creek crossings, all in 3.5 hours. You will be given a short introductory training briefing and practice before venturing into the Rainforest, where the fun begins. 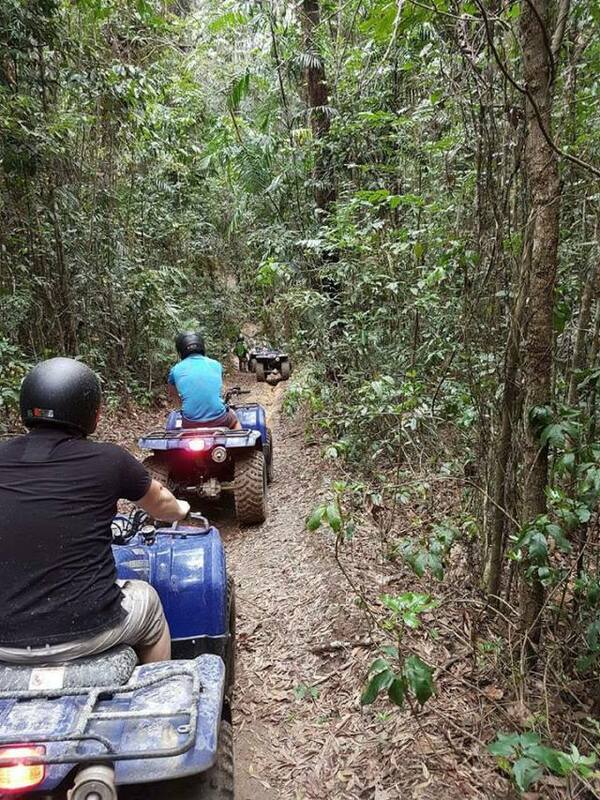 Your actual time on the quad bikes is around 1.5 hours. 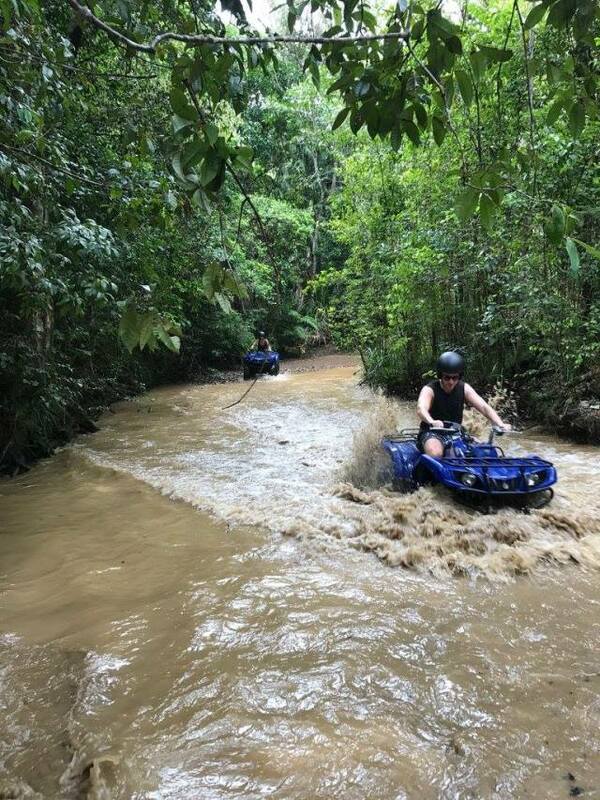 Experience adrenalin pumping exciting bumps, creek crossings and adventures throughout your tour. 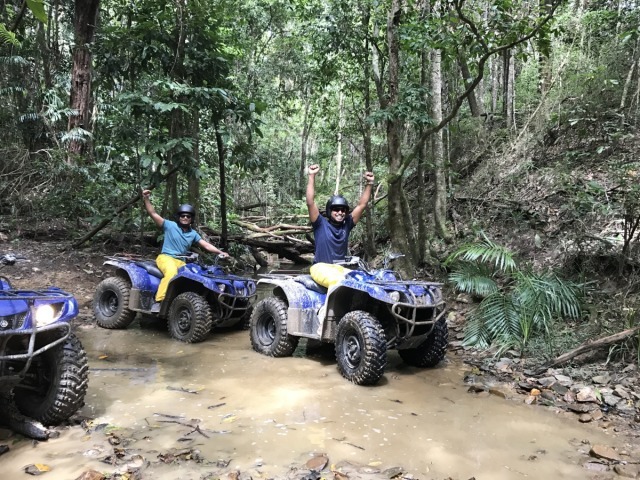 You’ll get to experience the Rainforest up close and personal with plenty of stops of your adventure through the Rainforest. 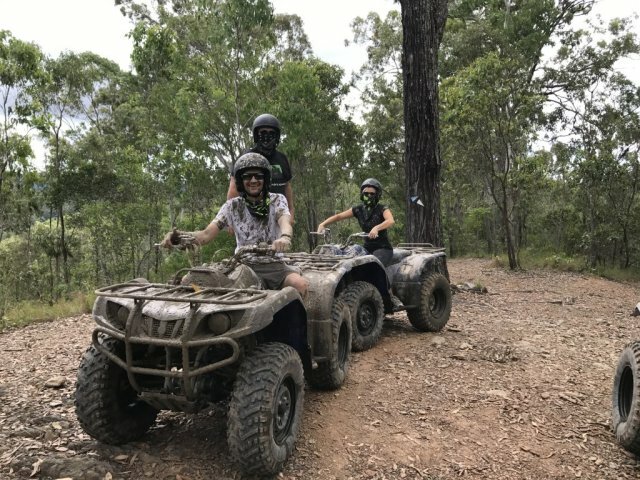 We also offer morning or afternoon tea, where you can sit down and have a chat about your Quad bike experience before returning to your accommodation. (Quad location is only ½ an hour from Cairns) and we have an option of being dropped off at the airport for your departure flight. 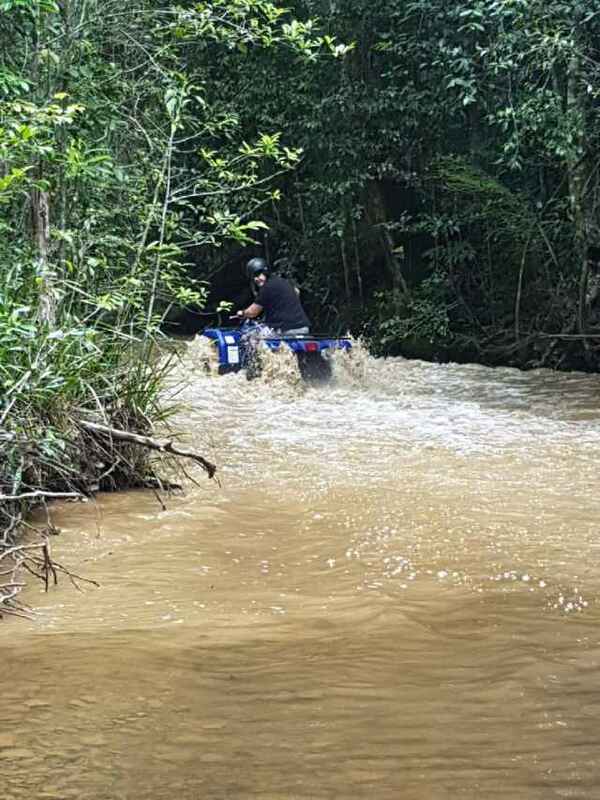 All bikes are new models that are automatic making it easy for everybody to ride and experience the ATV quad tours and have loads of fun and excitement. 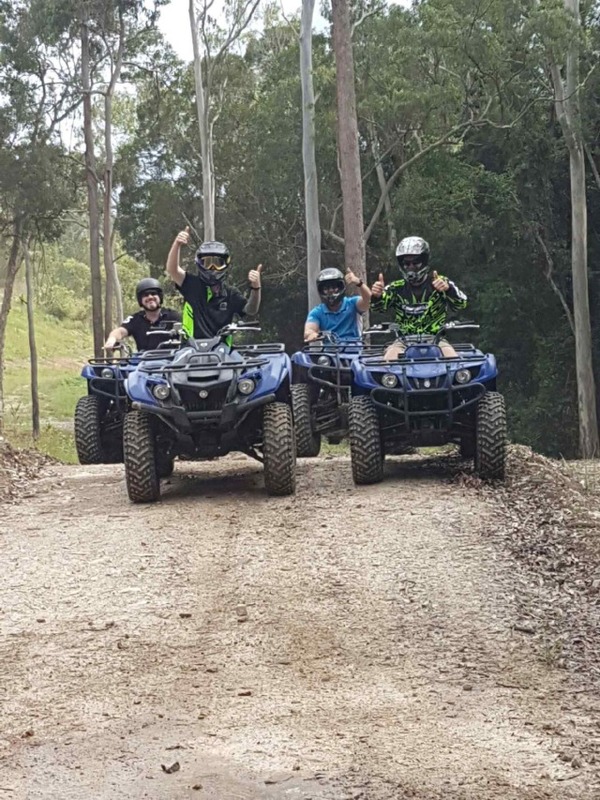 We cater for inexperienced and advanced riders on all our tours with a minimum age of 16 years old.